Hidden secrets, romantic involvements, and strange events are in line to shove Shannon Wallace straight into another thrilling adventure! Video Angels is hired to do surveillance in South Lake’s cemetery. When Shannon and Dwayne end up chasing shadows through the tombstones they discover the possibility that the perp could be related to none other than the Hispanic Hottie, Salvador Ramirez. The next day, Dwayne’s florist friend, Bubba Thames is found murdered, Shannon lands herself knee-deep in trouble as she tries to follow the clues to help uncover who is responsible. She has to side-step Ramirez who wants information, comfort her pal who wants to know whodunnit, and ward off a killer who wants her to stop playing investigator. When Dwayne turns up missing, Shannon knows this dangerous game doesn’t get played by normal rules, and if she isn’t careful, she might just be the next one pushing up posies! 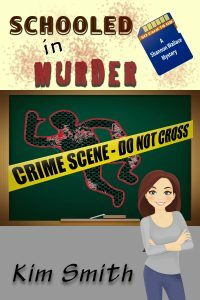 Other Books in "Shannon Wallace Mysteries"